paskirtas 2003 m. Ambasadorius priiminėja kai kuriais šiokiadienias Vilniaus Pilies g. kavinėse. Kairėnai – geras pavyzdys kaip kuriasi kaimelis-miestelis-savotiška individualistų kaimynų šalis. 1990-tais Jonkai paklojo pamatą namui tuščioje vietoje, laukuose, kur nebuvo nei namų, nei gatvių. Tuomet būtų geriau išreikšta Paskalio mintis, kad žmogus tai mąstanti nendrė. Kairėnuose yra (plyti) Botanikos sodas su daugybe įvairiausių gėlių, krūmų ir medelių. Gediminas’ Tower – Click to enlarge. Once at the top Tomasz told me of the “Baltic Way” organised by his father in 1989. Two million citizens held hands and formed a line 600KM long starting at this very tower and stretching through Latvia and Estonia. 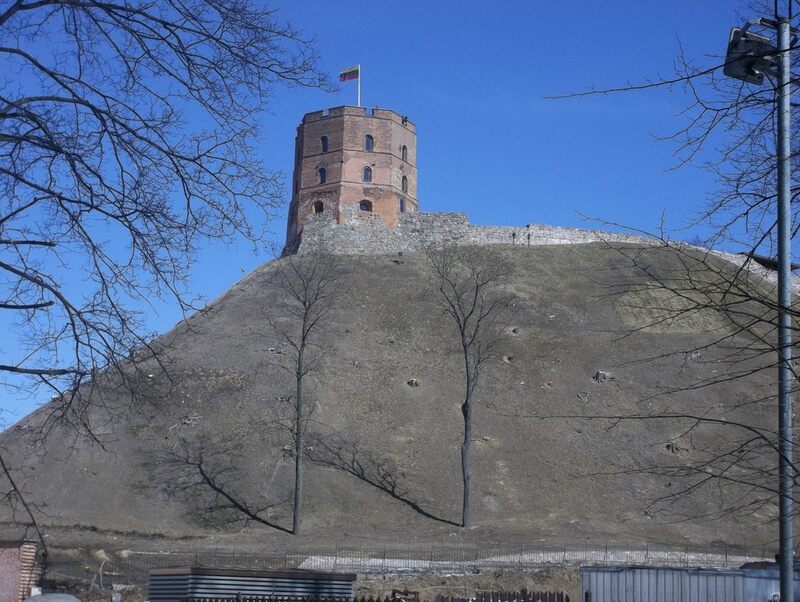 The first fortifications were built of wood by Duke of the Grand Duchy of Lithuania, Gediminas. Later the first brick castle was completed in 1409 by Grand Duke Vytautas. Some remnants of the old castle have been restored, guided by archeological research. Gediminas’ Tower is an important state and historic symbol of the city of Vilnius and of Lithuania itself. It is depicted on the national currency, the litas, and is mentioned in numerous Lithuanian patriotic poems and folk songs. The Flag of Lithuania was re-hoisted atop the tower on October 7, 1988, during the independence movement that was finalized by the Act of the Re-Establishment of the State of Lithuania on March 11, 1990. 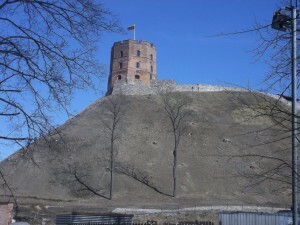 A reconstruction of the Royal Palace of Lithuania was completed in 2009, and is located near the base of the hill upon which Gediminas’ Tower stands. Bob Brown. The Complete Book of Cheese. Mano Guru, Vilniaus g. 22/1. Consul’s visit to the Res Publica, December 2011. Meeting with Consul on Miera iela, May 2014.